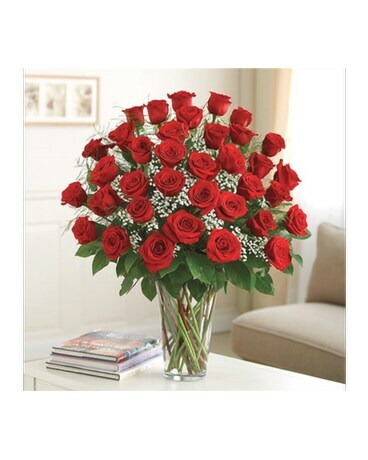 Just what your special someone deserves -- a stunning bouquet of three dozen premium long-stem roses, which delivers smiles in spectacular style. Available in multiple color options to express your feelings perfectly, this arrangement is sure to always be remembered. Arrangement measures approximately 23"H x 18"L. Vase measures approximately 10"H. Colors, varieties, and container may vary due to local availability.